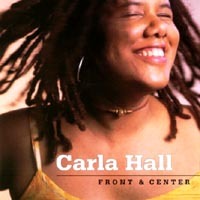 Mixing soul, jazz, and country twang, Harlem’s Carla Lynne Hall is a singer/songwriter playing pop by her own set of rules. 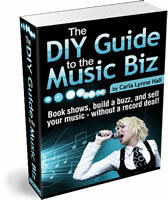 The Manhattan Mirror has described Carla’s music as “Norah Jones meets Sade for tea on their way to visit The Beatles”. A visit to Manhattan’s Hayden Planetarium inspired SUPERNOVA, the title track of Hall’s third CD, released on her independent label Moxie Entertainment. 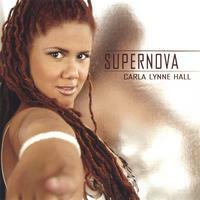 From the haunting “My Body’s Keeper” to the sassy “Left Side Blues” to the heartfelt “Lucy & Ethel”, Hall’s SUPERNOVA boldly tackles topics like friendship, addictions, and motherhood, and showcases a charismatic vocal style that has drawn comparisons to Roberta Flack and Sheryl Crow. With lush production by Christian Cassan, SUPERNOVA hints at the producer’s fondness for The Beatles – the legendary band’s musical style, as well as their sonic experimentation in the studio. Instrumentation such as pedal steel, trumpet, and accordion treats the listener to Cassan’s sophisticated approach to producing. However, simple guitar/vocal arrangements are also featured as an ode to Hall’s acoustic roots.